Earth globes are vintage items that can be recyled for creative lighting fixtures and home decorations in vintage style. Old globes can be fond on flea markets or attics. They can be turned into amazing home decorations, lighting fixtures or practical and unusual storage containers. 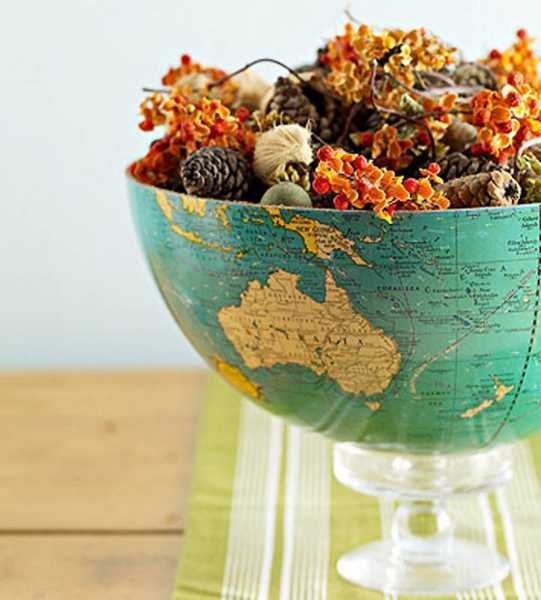 Here is a collection of globe recycling ideas that might inspire recycle crafts and interior decorating that reuse and re-purpose old globes. 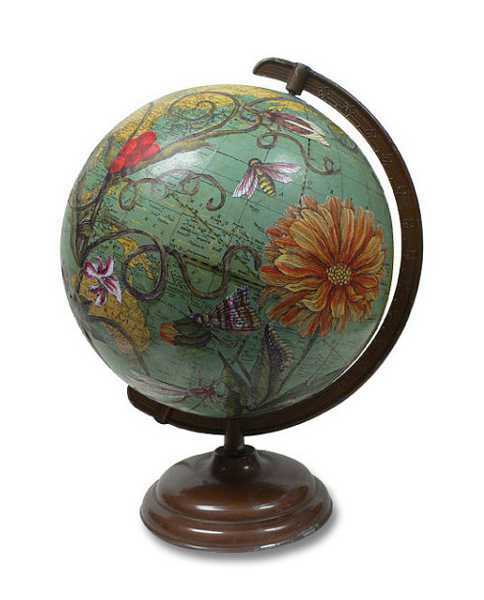 Painting ideas transform old globes into colorful home decorations. Black chalkboard paint helps create a surface for writing motes. Old globes can be decorated with beads and buttons. Anything, from coffee beans to old keys, provide great material for a creative transformation of an old globe into an eye-catching centerpiece. 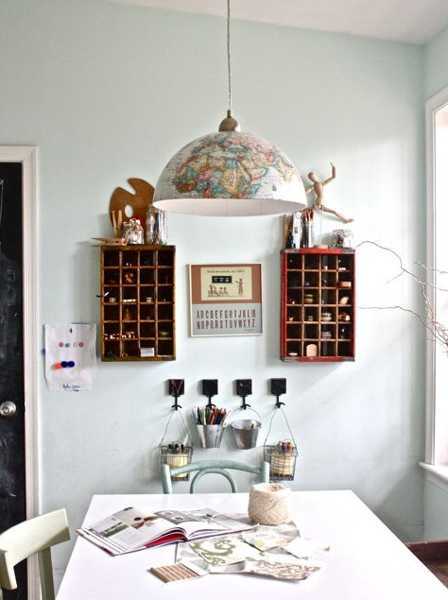 Recycling an old globe for home lighting is another wonderful ideas for craft project and interior decorating with unique lighting fixtures. Table lamps and floor lamps, hanging lights and small lanterns look interesting and surprising. Decorative vases and storage containers are great ideas to re-purpose old globes and declutter your home, creating useful and functional accessories. Wall clocks made of globes are charming, and wall decoration with a few globes make wall design dramatic and impressive. Ceiling designs can be adorned with globes also. And even simple arrangements with photographs frames, candles and globes in various sizes are beautiful interior decorating ideas that bring the elegance and charm of vintage style into modern home decor.